Crimea and Nagorno-Karabakh, two regions with similar histories, took very different paths after the Soviet Union broke up; until now. Crimea and Nagorno-Karabakh have shadowed each other for several decades. In Soviet times they shared the curious status of both being regions, which were each part of one of the 15 Union Republics of the USSR, but shared a strong affiliation with another Union Republic. Russian-majority Crimea, after 1954, belonged to Ukraine while Armenian-majority Nagorno-Karabakh was situated inside Azerbaijan. Armenia has carried out a de facto annexation of Karabakh. Once the USSR began to split apart, that double allegiance was a recipe for trouble. 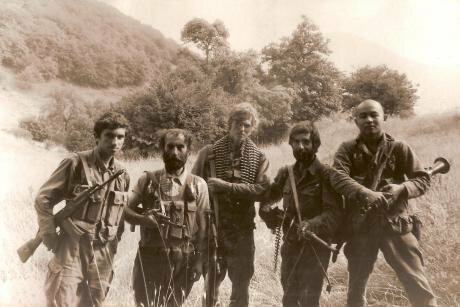 In 1988, the Armenians of Karabakh were the first rebels to shake the architecture of the Soviet Union, when, encouraged by their compatriots in Yerevan, they demanded unification with Soviet Armenia. Then, in December 1989, the soviets of Armenia and Nagorno-Karabakh jointly declared unification. Following the Armenian victory in that conflict, confirmed by the 1994 ceasefire, Armenia has since carried out a de facto annexation of Karabakh, Meanwhile, the territory sticks to a declaration of independence made in 1991, but recognised by no one except its fellow de facto states in the region – Abkhazia, South Ossetia and Transnistria. In the early 1990s, there were fears that Crimea would follow the example of Karabakh, Abkhazia or Chechnya, and seek secession, thereby provoking yet another conflict. In Crimea, however, the ‘Karabakh precedent’ was a dog that didn’t bark. To general relief, the peninsula proved to be a damp tinderbox. Either it was because Russians and Ukrainians were too intermingled and too similar, or it was that the Crimean Russian elite was too corrupt or too passive, but Crimea avoided conflict even as other Soviet-era autonomous regions were fought over. In Crimea, however, the ‘Karabakh precedent’ was a dog that didn’t bark. Until 2014, that is. The bizarre chain of events in Ukraine, in February and March, led to the Russian Federation annexing Crimea, tearing up half a dozen international treaties, and creating a new territorial dispute almost out of thin air. In this context, people are wondering not about whether Karabakh creates a precedent for Crimea but whether it works the other way round. The truth may be that Crimea has placed Karabakh in a new vicious circle of destructive politics. Armenia immediately made its choice. David Babayan, adviser to the Karabakh Armenian president, called Crimea’s vote in March a good precedent for Nagorno-Karabakh. Evidently under Russian pressure, Armenia was forced to abandon its tradition of ‘complementarity,’ and was one of a very small (and generally disreputable) group of 10 countries which supported Russia’s capture of Crimea, at the United Nations, along with Belarus, Bolivia, Cuba, North Korea, Nicaragua, Sudan, Syria, Venezuela and Zimbabwe. Russia is an official mediator in the conflict and – in contrast to its much more direct involvement in Abkhazia, South Ossetia and Transnistria – has interests on both sides. Its only military base in the South Caucasus (outside Abkhazia and South Ossetia) is in Armenia. It has strengthened its economic and security relationship with Armenia, which is now on course to join Russia’s Customs Union. But Moscow also continues to build up its relationship with Azerbaijan, the largest and by far the wealthiest country in the South Caucasus. In May, Russia made a new weapons sale to Azerbaijan, which the Armenian defence minister, through gritted teeth, called a normal development. Sergei Markov, Kremlin adviser (one time US employee in Moscow, and now Washington’s biggest bête noire), told Azerbaijan that only Russia, not the United States, could guarantee Azerbaijan’s territorial integrity. This display of realpolitik and the on-going confrontation between Russia and Western countries over Ukraine mean that it will be much harder to see a concerted three-country push for a Karabakh peace agreement, as happened in 2011. Some Western commentators argue that Russia obstructs the resolution of a Karabakh peace process. Some Western commentators argue that Russia obstructs the resolution of a Karabakh peace process. There is little evidence of this. In a decade and a half following the conflict, I have known half a dozen US mediators, representing the OSCE’s Minsk Group. Each of them has said that the three co-chairs, France, Russia and the United States, have worked in close coordination over that entire period. When former president Dmitry Medvedev tried to forge a deal in a meeting in Kazan in 2011, he did so with the full support of Barack Obama and Nicholas Sarkozy. Yet Vladimir Putin, Medvedev’s patron, successor and predecessor, has not continued the high-level diplomacy that ended in Kazan. The failure there probably only confirmed the cynicism and indifference with which he is said to regard the Karabakh peace process. This cynicism, rather than active manipulation of the conflict, is Russia’s main fault. But it should be said that Putin has reason to be cynical. Over the past two decades, both Armenia and Azerbaijan – and particularly the latter – have grown much stronger as states. The two presidents of each country, currently Serzh Sargsyan and Ilham Aliyev, have grown correspondingly more powerful vis-à-vis the mediators of the Karabakh conflict, and now it is they who conduct the negotiation process, seek to set its exceedingly slow tempo and, especially in the case of Azerbaijan, blame the mediators for lack of progress. The conflict between independent Armenia and Azerbaijan is similar to that between India and Pakistan. Laurence Broers has argued convincingly that the conflict is better seen as one of ‘enduring rivalry’ between independent Armenia and Azerbaijan, similar to that between India and Pakistan, than a post-Soviet conflict about autonomy and self-determination. The takeover of Crimea, the crisis in Ukraine, and the black-and-white political realities that have resulted from them have only accentuated difficulties that had already made the Karabakh conflict even more intractable. 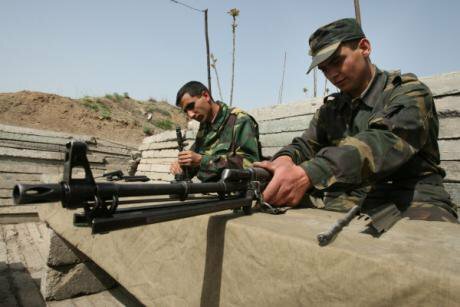 One is the increased militarisation of the 'line of contact,' the ceasefire line of 180km that runs through de jure Azerbaijani territory. On each side are 20,000 Armenian and Azerbaijani troops, dug into first world war-style trenches sometimes only 100 metres apart. Snipers with long-range rifles cause casualties a long way back from the line. 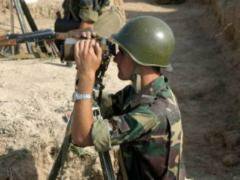 Heavy weaponry has built up, with the Azerbaijanis now spending more than £1.8 billion a year on their military budget on items such as drones, multiple-rocket launchers and attack aircraft. Some military analysts say that this has created a deterrent effect, but we can be certain that a new conflict, however small, would be vastly more destructive than that of the 1990s. There are 20,000 Armenian and Azerbaijani troops, dug into first world war-style trenches sometimes only 100 metres apart. 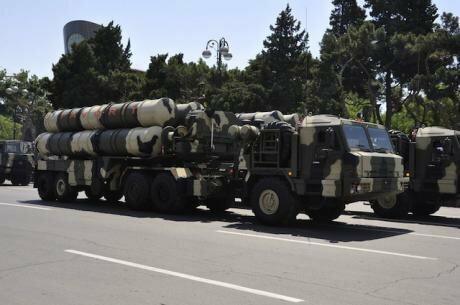 Even if none of those new weapons are fired, the militarisation has been accompanied by even more bellicose rhetoric from the losing side, Azerbaijan. The rhetoric is, of course, a symptom of 20 years of frustration, but it also erodes hopes of forging a relationship at the negotiating table, which might produce a peace deal. In his recent Independence Day speech President Aliyev declared: ‘Therefore, if the Armenian people want to live in peace with neighbours they must first of all get rid of their criminal, blood-thirsty and illegal regime and send it to the annals of history.’ It was not a speech likely to persuade President Sargsyan to engage in meaningful negotiations on the surrender of captured territory. A burned out APC on the road to Kelbajar in 2014. Twenty years since the ceasefire, reminders of the conflict abound. CC oDR. At the same time, in the last few months, the Azerbaijani Government has cracked down even more severely on civil society organisations and those few activists engaged in Track II dialogue with Armenians. In April, Azerbaijani journalist Rauf Mirkadirov was arrested for alleged espionage on behalf of Armenia, his crime being collaboration with Armenian non-governmental colleagues. Last month, the country’s two most prominent activists for human rights and dialogue with Armenians, Arif and Leyla Yunus, were prevented from leaving the country, had their passports confiscated, and are under similar threats. In parallel, the international mediation efforts of the Minsk Group have stayed at the same level. Although they do not say so out loud, French, Russian and US diplomats send the signal that they do not believe there is a chance of a peaceful breakthrough in the negotiations, but that they will continue to manage the negotiations and the ceasefire monitoring mission, while hoping for better times. It is not so much conflict resolution as conflict management. It is not so much conflict resolution as conflict management. In his speech last month in Washington marking the 20th anniversary of the ceasefire, US Minsk Group ambassador James Warlick, again set out the fundamental rationale for a peaceful agreement. He more or less hinted that if – and only if – the parties to the conflict are serious about it, the United States government is prepared to commit more resources to the peace process. ‘It is the presidents who must take the bold steps needed to make peace,’ he reminded his audience. Unfortunately, in the world that has been re-drawn following the take-over of Crimea, the leaders of Azerbaijan and Armenia see even fewer incentives to take those bold steps than before.